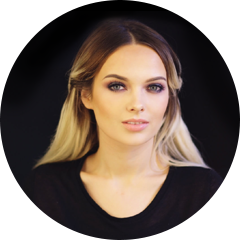 I often feel like the luckiest girl in the world. I have an incredibly supportive (& handsome) boyfriend and tonight I came home from a day at work feeling a little deflated. 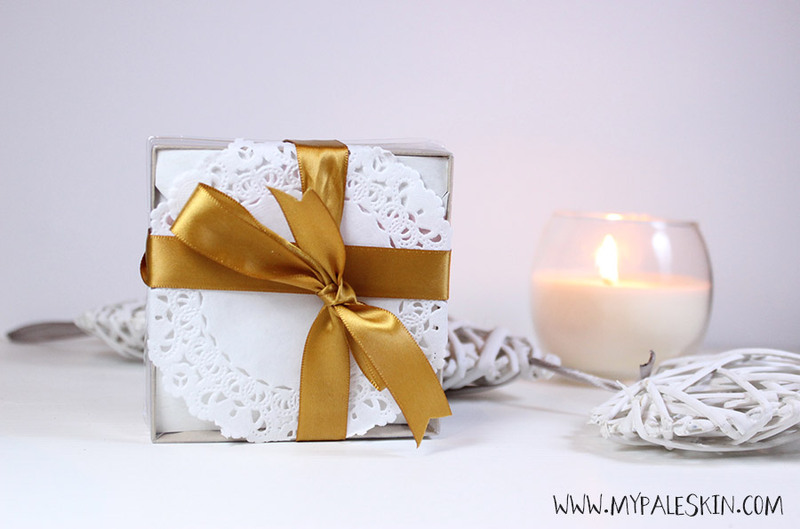 I promptly walked into the bedroom to grab my PJ's and found this gorgeous little box staring at me! I think I may have squealed, numerous times before I even opened it. I can't believe how sweet this necklace is! Even the packaging is adorable. As a couple we're obsessed with pretzels. 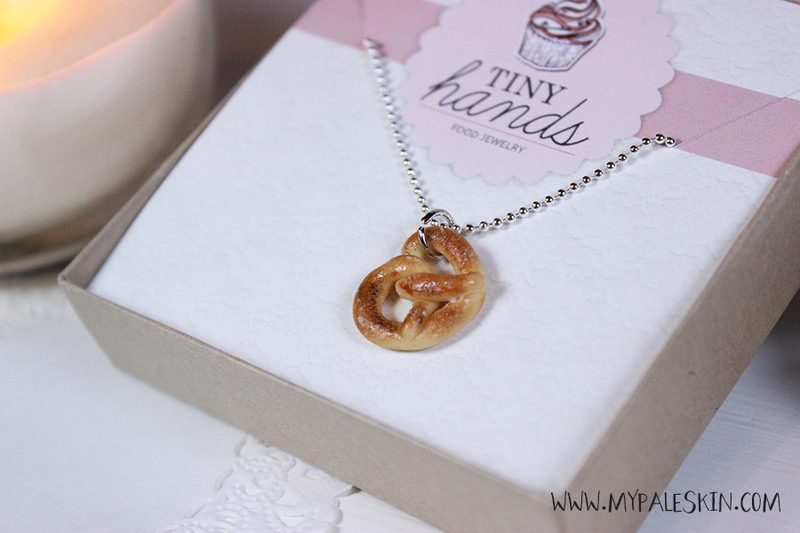 They're one of our favourite foods and we bake them together from scratch quite often... a trip to Westfields can result in numerous trips to the Mr. Pretzel stand, and now I have my very own pretzel to wear all the time! M knows me far too well, he's perfect for me and so this is necklace! 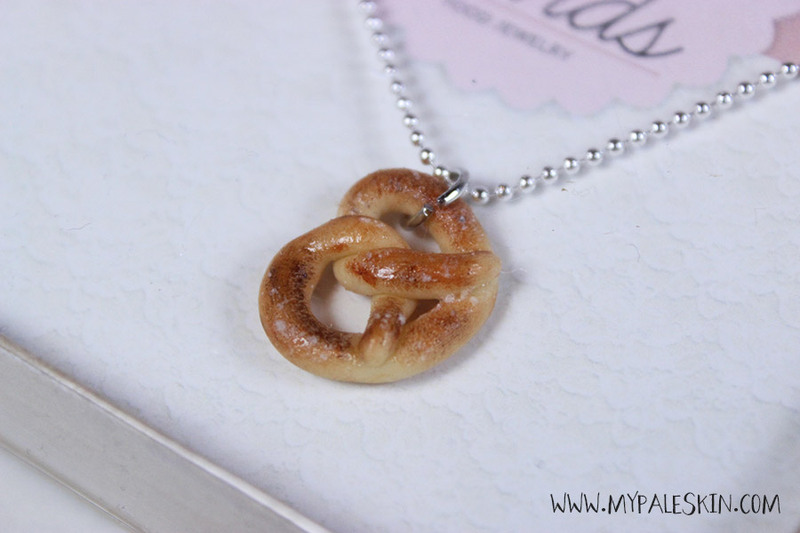 My Roberto Cavalli necklace can go back in the Jewellery box, because it's Pretzel time every day. 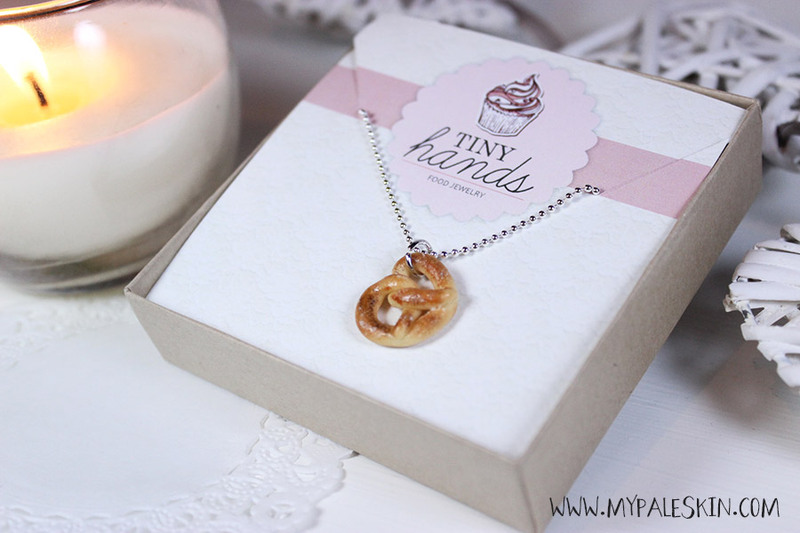 I've now got the cutest pretzel around my neck, a smile on my face and a very big craving for a warm buttery snack. Too cute for words. It looks totally edible! Aww, that is adorable! How thoughtful!